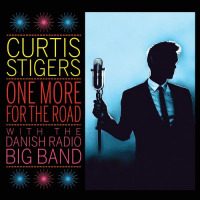 Singing with a relaxed, everyman voiceRandy Newman-esque, with some Dr. John shadingsCurtis Stigers has come up with a dandy set with I Think It's Going To Rain Today. These are well-crafted interpretations of some very well-chosen recent pop songs, rather than the basic American Songbook stuff. Stigers covers blues great Willie Dixon's "My Babe"; Arthur Cradup's "That's All Right," Elvis's first hit on Sun Records; Willie Nelson's classic "Crazy"; Mose Allison's "Everybody's Cryin' Mercy"; Sting's "I Can't Stand Losing You"; and Tom Waits' "In Between Love"all with a distinctive, personal style, flashing surprising new facets of these pop gems. Upon an initial blind listen, it was pretty obvious that the keyboardist had a big part in this production, from the very first notes of cool B3 slink on Dixon's "My Babe" to a mellifluous breeze behind a good old boy vocal. Turns out Larry Goldings coproduced the recording (with Stigers) and wrote all the arrangementsa key to its success. 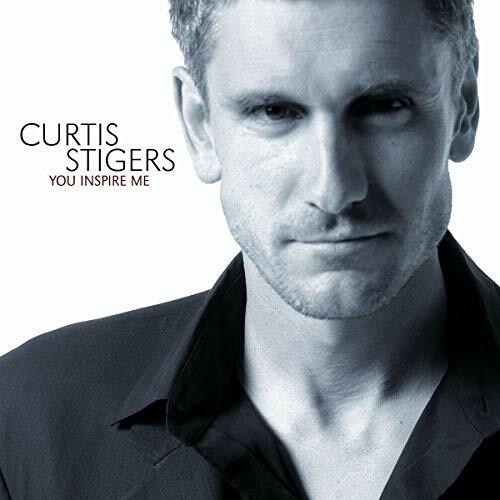 Stigers sounds like a tragic romantic on Sting's "I Can't Stand Losing You" (from his Police days). The original never grabbed me, with Sting's vocals droning in a production murk, but this version is poetic and Stigers' vocal style is so different from Sting's, so... American. Add a loose and soaring trumpet solo (John Sneider) at the close, right before the final leap toward suicide threatened in the lyrics. These arrangements are superb, each one crafted to the individual song. Goldings plays piano, B3, celeste, accordion, and Wurlitzer electric piano. His use of trumpeter John Scheider is spare but always perfectly placed. A first-rate interpreter, Stigers also pens a fine song. His "Lullaby on the Hudson" (written with Goldings) sounds every bit as much a pop classic as some tunes that Randy Newman or Tom Waits have written at their most romantically poignant. Speaking of whom: the title tune is a Newman classic, sparely arranged with just piano and voice, and the addition of Sneider's horn makes this a more hushed, less quirky, and more forthrightly beautiful take than Newman's. And Tom Waitswhat a hopeless romantic he can be when the mood strikes him. His "In Between Love" is a perfect vehicle for Stigers, whose voice drips a simple everyman's emotion here, as does the muted trumpet work. A distinctive voice, with perfect arrangements and production done with a light touch and a remarkably deft hand on some pop gems; then throw in a couple of first-rate original tunes. Excellent sounds! 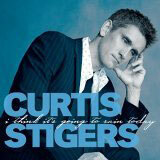 Visit Curtis Stigers on the web. Track Listing: My Babe; That's Allright; Crazy; Everybody Cryin' Mercy; I Can't Stand Losing You; Lullaby on the Hudson; I Think It's Going to Rain Today; Columbus Avenue; Side by Side; In Between Love; It Amazes Me; Take Me Out to the Ballgame (from Game Six). Personnel: Pete McCann, guitar; John Sneider, trumpet; Matthew Fries, piano (#12); Keith Hall, drums (#12); Larry Goldings, piano, Wurlitzer electric piano, Hammond B3 organ, accordion, and celeste; Matt Wilson, drums; Ben Alison, bass (#2, 3, 4, 5, 7, 8, 9, 10); Phil Palombi, bass (#1, 6, 11, 12).